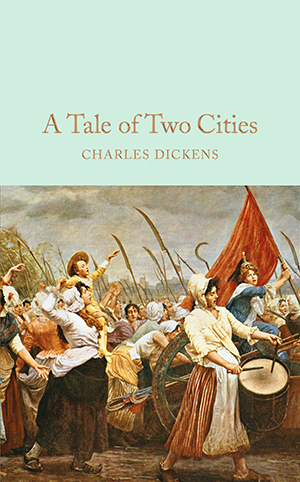 A Tale of Two Cities, a story of revolution, revenge and sacrifice, is one of Charles Dickens' most exciting novels. Set against the backdrop of the French Revolution, it tells the story of a family threatened by the terrible events of the past. Dr Manette, wrongly imprisoned in the Bastille for eighteen years, is finally reunited with his daughter Lucie. Lucie has fallen in love with Charles Darnay, who has abandoned both wealth and title in France because of his political convictions. When revolution breaks out in Paris, Darnay returns to the city to help an old family servant, but is soon arrested because of the crimes committed by his relations. Lucie follows him across the Channel, thus putting all their lives in danger. Introducing this collection of stories, R. K. Narayan describes how in India 'the writer has only to look out of the window to pick up a character and thereby a story'. Malgudi Days is the marvellous result. Here Narayan portrays an astrologer, a snake-charmer, a postman, a vendor of pies and chappatis - all kinds of people, drawn in full colour and endearing domestic detail. And under his magician's touch the whole imaginary city of Malgudi springs to life, revealing the essence of India and of human experience. The Thirty-Nine Steps is a seminal ‘chase’ thriller, rapid and vivid. It has been widely influential and frequently dramatised: the film directed by Alfred Hitchcock became a screen classic. This engaging novel also provides insights into the inter-action of patriotism, fear and prejudice. 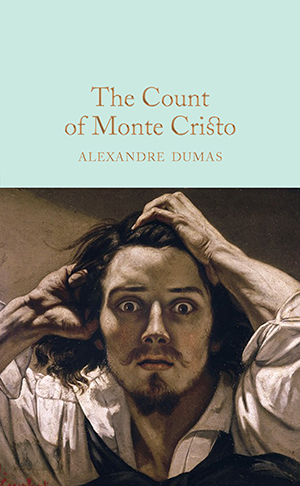 The Count of Monte Cristo by Alexandre Dumas is the ultimate novel of retribution. Based on a true story, it recounts the story of Edouard Dantes, his betrayal and imprisonment in the sinister Chateau d'If. Years later, Paris is intrigued by the mysterious Count of Monte Cristo, who bursts onto the Paris social scene with his millions. He encounters the three principal betrayers of Dantes who have prospered in the post-Napoleonic boom and, one by one, their lives fall apart. The book was a huge, popular success when it was first serialized in 1844, and remains the greatest tale of revenge. This beautiful, abridged Macmillan Collector's Library edition of The Count of Monte Cristo features an afterword by Marcus Clapham. In 1913 a young second lieutenant discovers the terrible danger of pity. He had no idea the girl was lame when he asked her to dance – his compensatory afternoon calls relieve his guilt but give her a dangerous glimmer of hope.